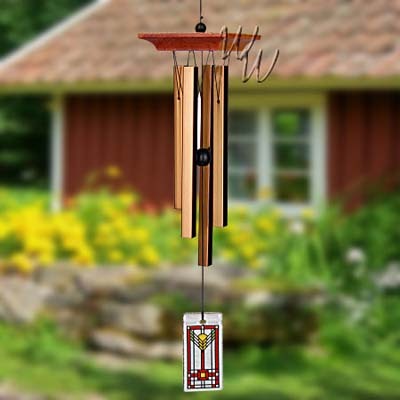 This chime celebrates the Arts & Crafts movement with its bold design and wonderfully pleasing tones. Made of: Cherry wood, 4 bronze anodized aluminum square tubes. Made of: Cherry wood, 4 bronze anodized aluminum square tubes.